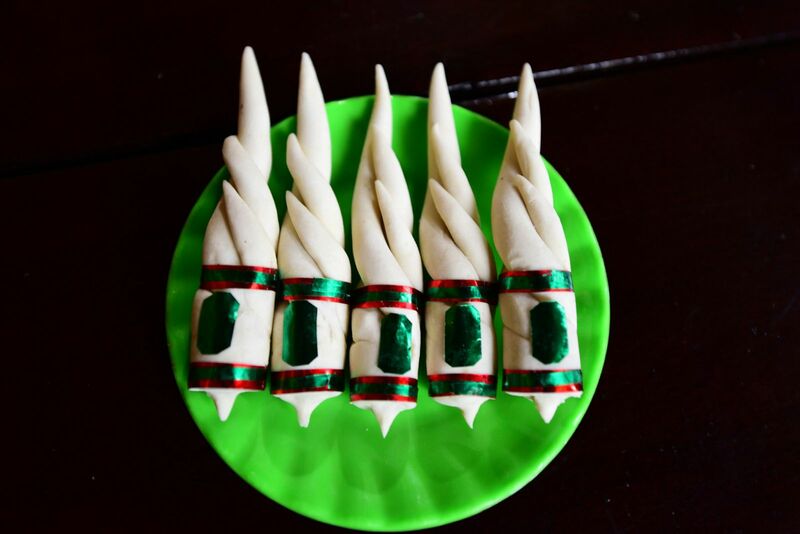 Originating from the Imperial city, banh sam (ginseng-shaped cake) were later transmitted to the masses of people, and has been used in traditional Tet holidays in many families, while banh dua only appears in An Thanh village. 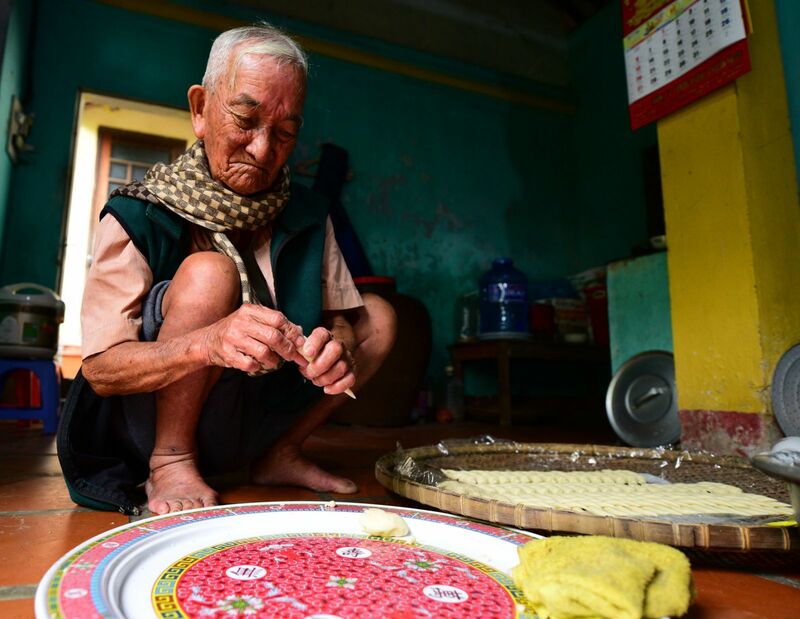 Nowadays, at the age of 86, Mr. Lang is the only person in the whole village still making this kind of cake whenever Tet holidays come. 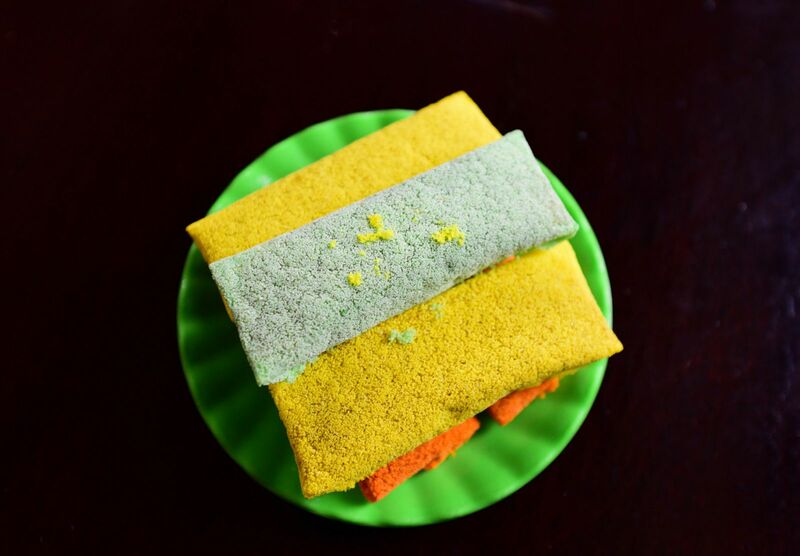 The cakes are mainly made out of different kinds of powder. 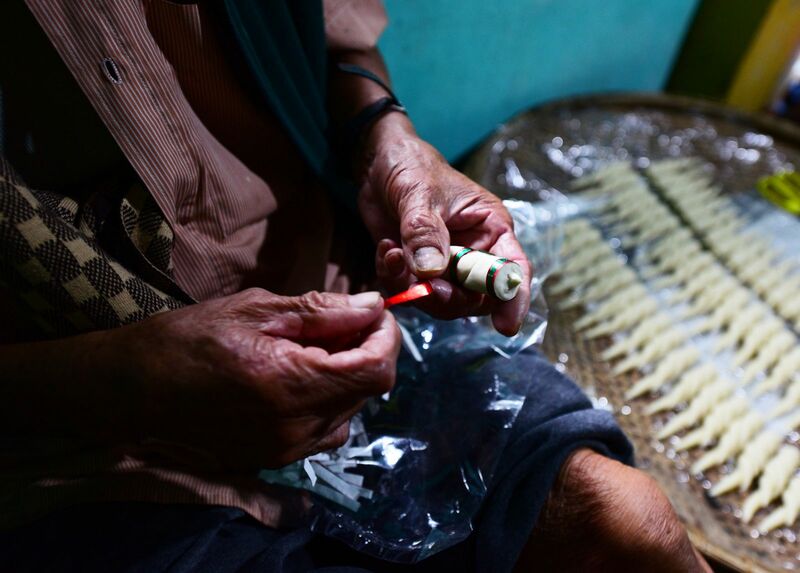 With skillful hands, Mr. Lang has made many people praise as tasting his cakes. Banh sam is made from Phaseolus lunatus powder, banh dua is made from sticky rice flour, its stuffing is made of sugar, peanuts, sesame and five-spice powder. 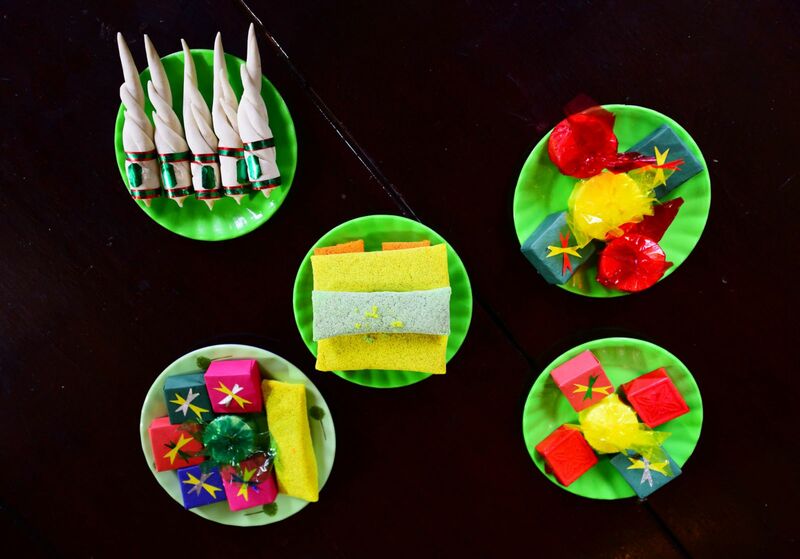 In addition, there are also more cakes of the ancients such as banh in (made from sticky rice flour or mung beans), banh hat sen (made from lotus seeds), which are made from many popular powders and covered by colorful cellophane. They are indispensable cakes on the altar in the Spring days. 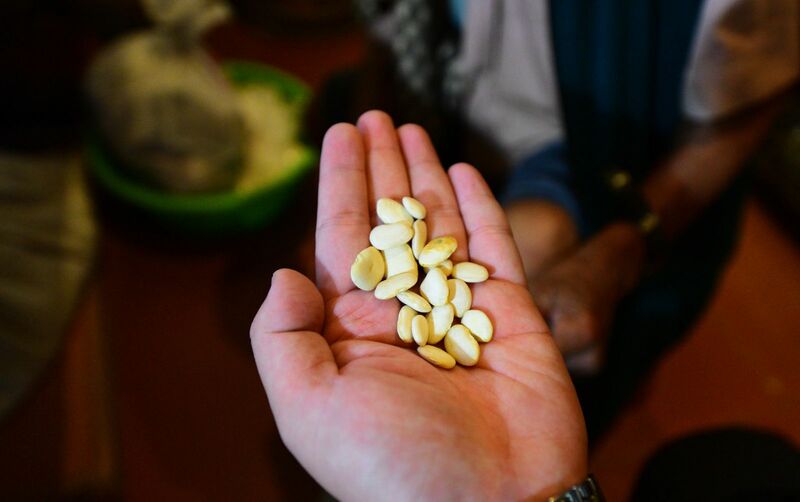 Mr. Lang cooks phaseolus lunatus seeds with sugar and stir until they become dry, then he uses his hands to knead the mixture into the ginseng shape. 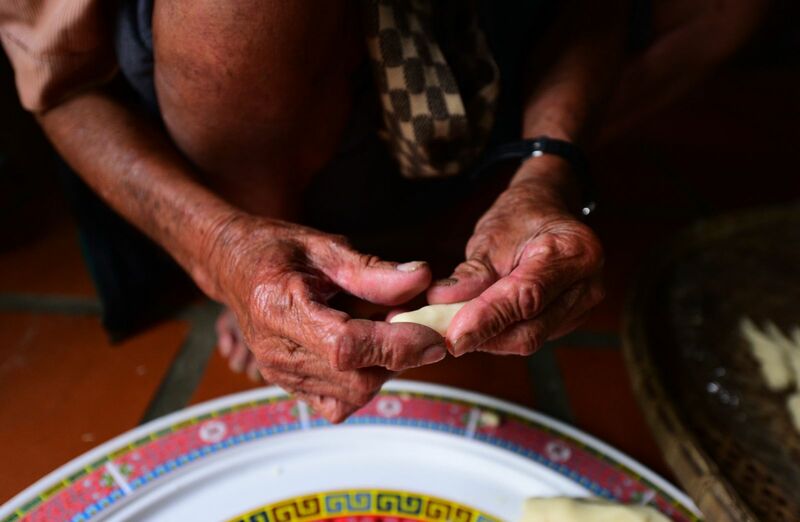 At the age of 86, Mr. Lang is still busy with making cake at the end of each year. 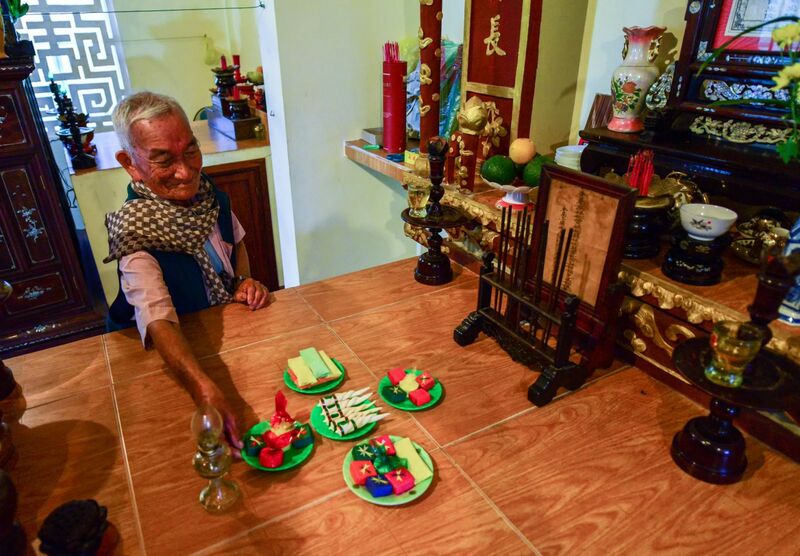 Many people in Hue City still find him to order cakes for their cake trays on the altar. 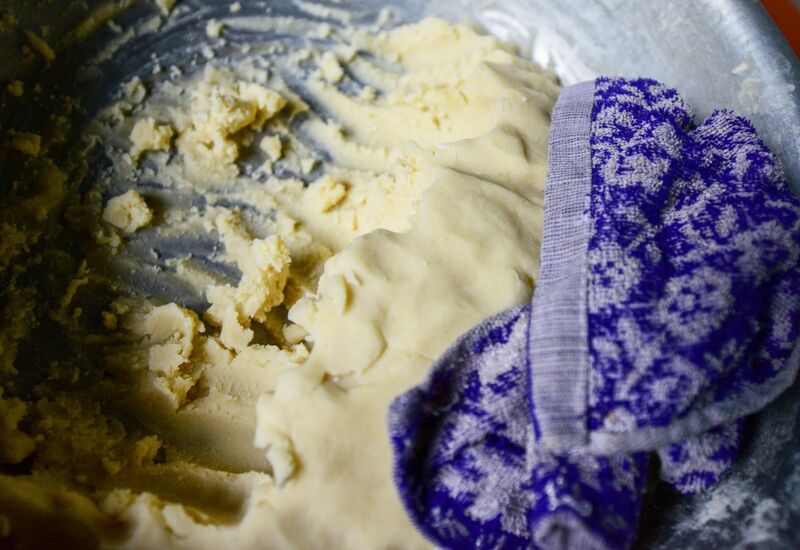 As Mr. Lang confided, making cakes helps him raise his 12 children to study successfully. 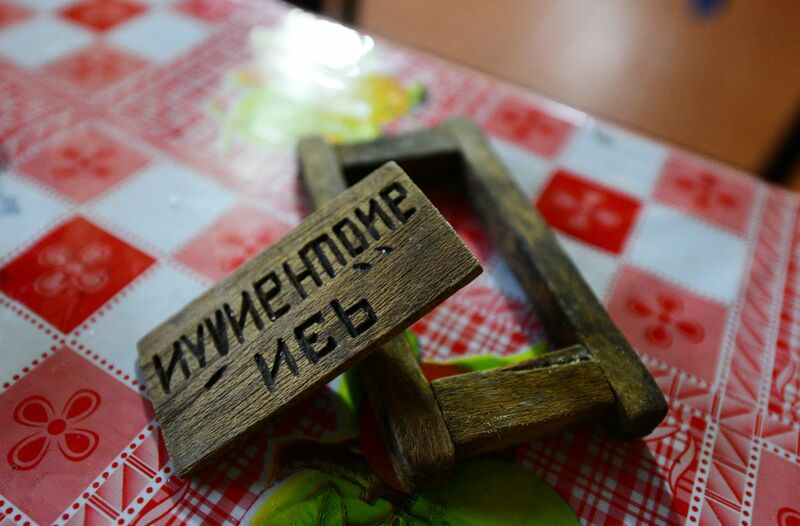 He only regrets that he could not transfer the skills to his children and be afraid that no one could make these old cakes anymore when he dies.